During Christmas breaks, me and hubby always planned something different with the family. Maybe a 3-4 days out-of-town vacation would do for us. But for 2011 year-ender, it was different. We got numerous consultancy and last minute job offer from different clients that made our whole month of December very busy. We can called it a “happy problem”. What we did was to still push thru with our get-away even for one whole day and very near in Laguna so that we can come back again and work. 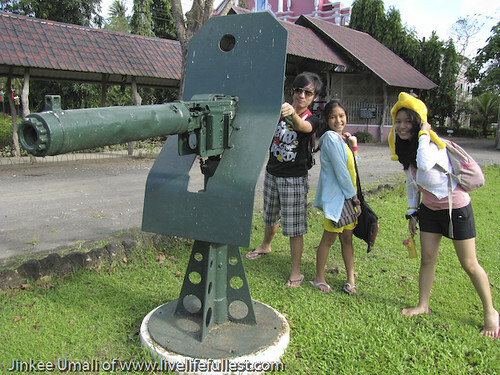 That was when we decided to go to Villa Escudero last Dec. 26, 2011. 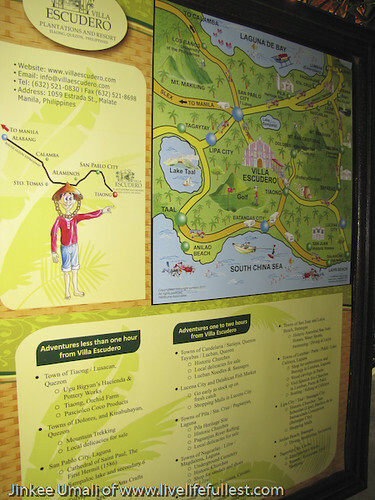 Villa Escudero is almost one-hour drive coming from Calamba – border of San Pablo, Laguna and Tiaong Quezon. 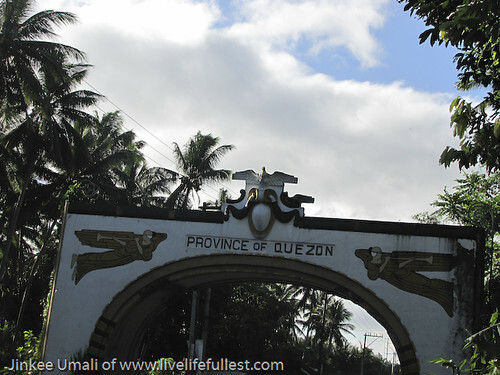 Once you see the Quezon arch, turn left immediately and you will see their sign. 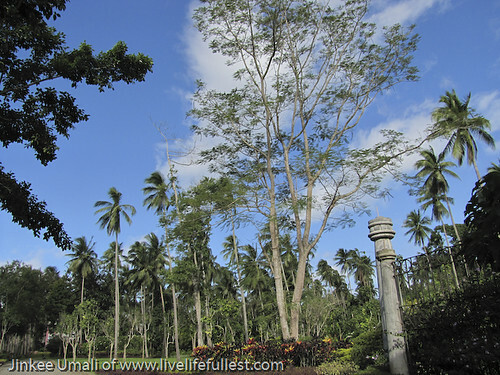 You will found a huge vast scenic view of rice field and coconut plantation just transcending along the entrance going inside Villa Escudero that let us be excited on what still this resort has to offer. 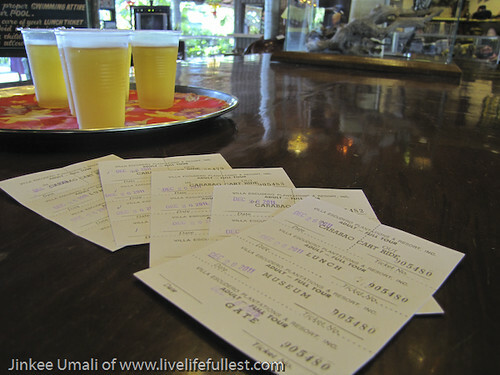 During the reception, the staffs were very accommodating to assist us what we can expect during the day tour and offered us gulaman drinks. Ticket price is P 1, 250.00 for regular days and P 1,400 for weekends/holidays. 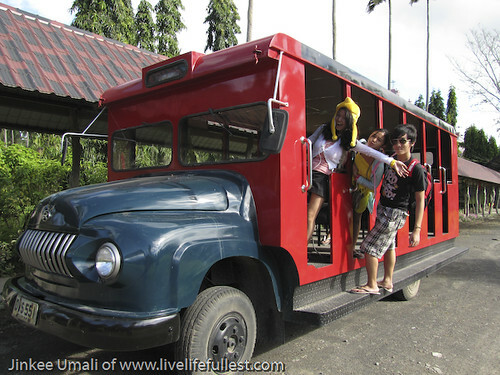 These include the drink, carabao cart rides, swimming, fishing, rafting and buffet lunch at the waterfalls. It would definitely be more great if you will personally see for yourself all those great collections which served as a treasure for the Escuderos. Beside the museum was the house of the Escudero where the family stays until now. Tourists were not allowed to enter but can take pictures infront of the gate. I thought we will be going out already for a swim, but still my kids even grown-ups play around the whole park running and taking pictures. Anyway, we were still early. No need for us to rush up since we were the first visitors to arrive here before it opened at 8:00 am. Still more more time to explore the hacienda. ← Happy 2nd Bloganniversary Calamba-Online! Hmmm … now I’m interested to go here and bring my family with me. Miss this place. I was there way back 2005. I love the place. Lalo na sa kainan nila, where you can soak your feet on the cool running water. Sarap. 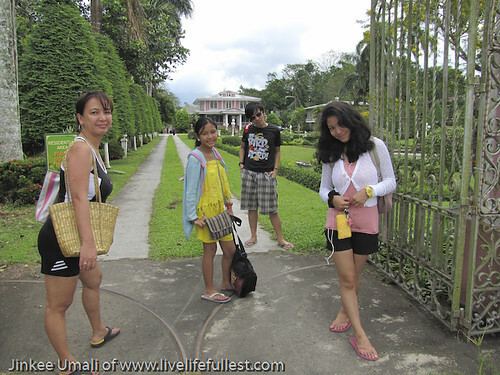 Yes, Villa Escudero truly makes for a great day trip. Or a weekend get-away! For that price, sulky na talaga. And it is not too far. Wow, thanks for dropping by…Love your blogs and how you wrote it…Idol! 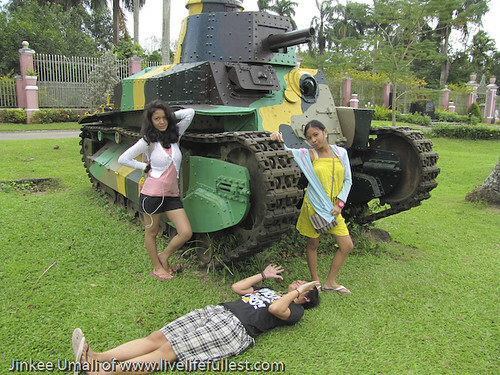 maganda pala talaga sa villa escudero..
yes, its really a must-visit place! Oh its been forever since I’ve been to Villa Escudero. I’m glad they’ve still maintained it well. you surely had fun as a family. nice place, very tranquil. 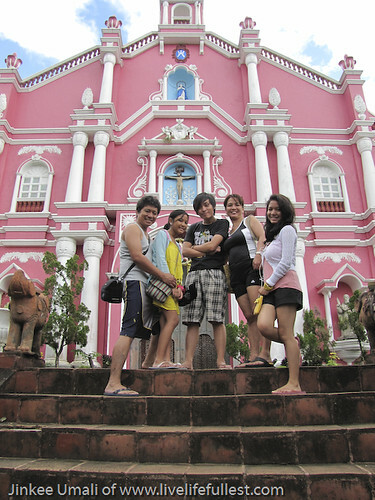 never seen a pink church before… got the chance, love to visit the place. thanks. Yahweh bless. Pink museum! 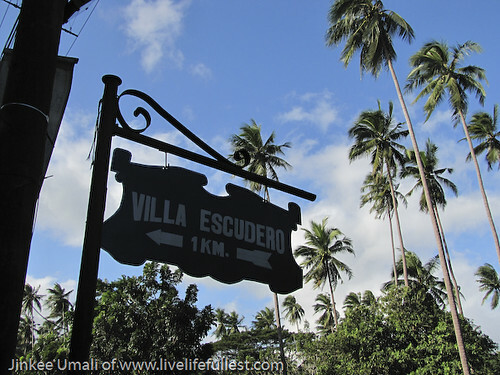 😀 I remember being in Villa Escudero when I was a kid, but I’ve just been there once. The dining area was near the waterfall where rushing waters will be at your feet while you eat. I have been wanting to visit the place ever since I heard about it when I was younger.